Everyone is a Maker. The MakerSpace has tools, supplies, and people to help you work on assignments, research, and personal projects. The focus is on various ways in which Wichita Falls can create an optimal climate for various types of business growth – including increasing the visibility of the community’s existing small business support services. Wichita Falls also has an additional opportunity to promote economic growth through small business and entrepreneurship. The community can embrace the burgeoning “maker movement” and leverage its existing strength in small, custom manufacturing shops to produce strong “homegrown” manufacturing companies. Discussions of “entrepreneurial ecosystems” and “startups” often evoke images of app development and efforts to disrupt existing business models with technological advances. While exceptions certainly exist, these activities are generally concentrated in a relatively small set of large metros where entrepreneurs can more readily access capital, talent, and support networks. It is important to note that firms with “high growth” potential do not necessarily need to be “high tech.” Successful entrepreneurial and small business support efforts are built around helping manufacturing firms – even ones that make decidedly “low-tech” products – to begin operations, scale up, improve processes, and gain access to new customers and markets. Research and input suggest that the community has a strong base of engineers and mechanically inclined individuals who may have new product ideas as well as numerous smaller manufacturing firms with core competencies in customized and precision production. Accordingly, a range of programming to help establish Wichita Falls as a hub for “makers” and manufacturing entrepreneurship represents a promising niche opportunity for the community. 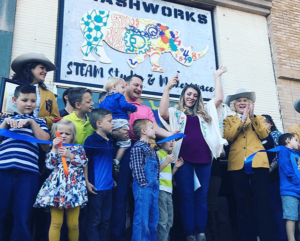 Crashworks STEAM Studio and Makerspace celebrated their grand opening in early November. The space is full of tools for kids (and adults) aged 7+. You’ll find everything from felt-paper projects, and cardboard architectural renderings to chemistry, and a 3D printers. Check out their website to get the latest classes, events and services! Dexter Learning is another great space to learn digital skills and much more. You can find them in Big Blue in Downtown Wichita Falls.  Attract and retain residents and businesses: Services for entrepreneurs and small manufacturing firms could create strong incentives for these individuals and firms to remain in the community.  Increase prosperity for all residents: The ultimate goal of this portion of the strategy is to grow new businesses and help “homegrown” manufacturing firms thrive. Doing so would create jobs and bring new wealth to the community by exporting products to other regions.  Enhance the quality of life and quality of place: In addition to many indirect benefits, a Downtown maker hub could significantly contribute to the vibrancy of the area by bringing in new active users.  Promote inclusivity and equity: A makerspace can help lower barriers to entry for prospective manufacturing entrepreneurs, and steps should be taken to ensure equitable access to it. 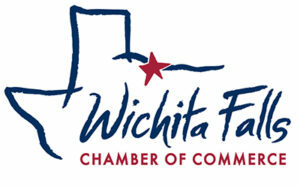  Improve internal and external perceptions of Wichita Falls: A successful program would improve the community’s manufacturing reputation and could potentially attract more widespread attention.